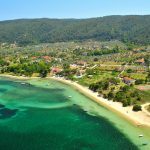 Vourvourou is s seaside tourist resort in eastern Sithonia, well known for its natural beauty and its nine small islands where the virgin nature and the secret charming beaches make it very special! 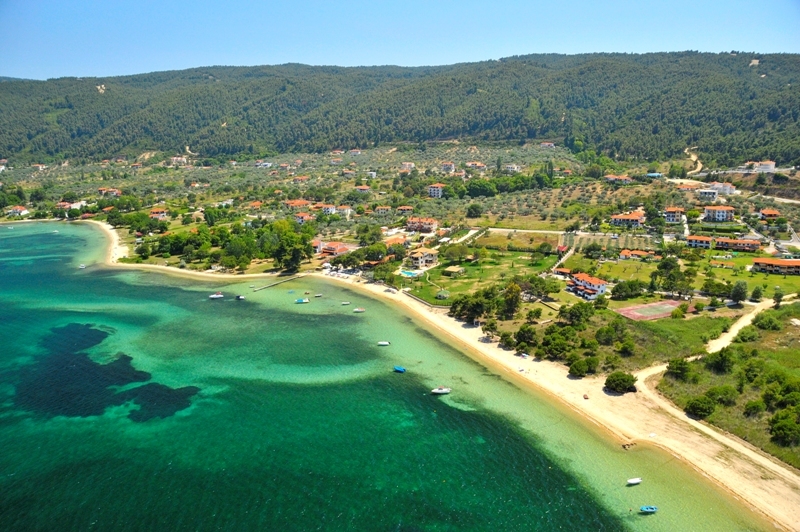 Vourvourou is located 5km from Ormos Panagias and it's an intoxicating combination of green and blue. There are 3 great swimming spots here: the beach of Vourvourou, the secluded cove of Karydi and the Livari Lagoon with its shallow waters. 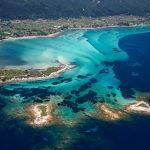 If you are a passionate explorer, there are nine tiny islands all around the bay that you need to explore; especially the larger one called “Diaporos”. The bay of Kriftos, a secret gem, is of great interest; hidden on the north side of Diaporos, it used to be a shelter for pirates. 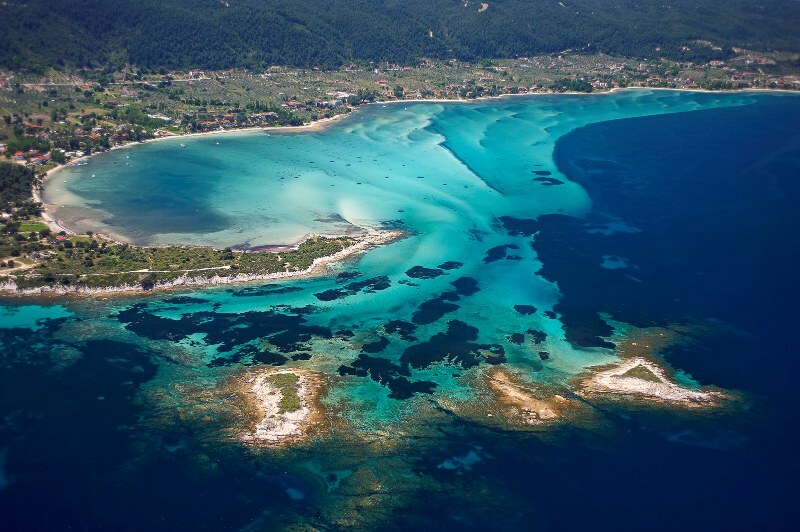 The coral reef of Vourvourou seems to be very impressive for divers, it is a good chance to live a unique experience. The “Great Wall” (Megas Tichos), a small peninsula north of Vourvourou. - If you love fishing, go to “Livari” to enjoy yourselves or explore the shallow gulfs of Vourvourou. - Rent a boat and explore the complex of little islets in the bay.